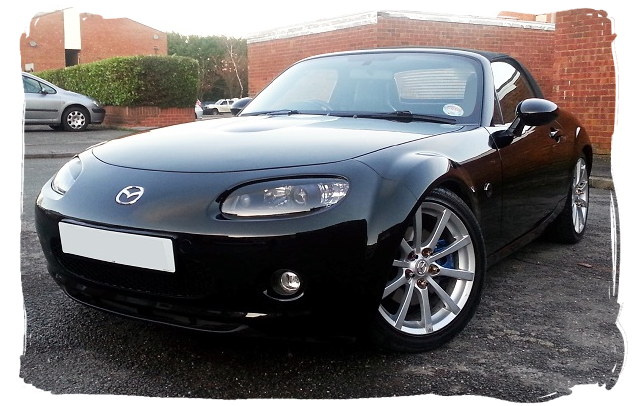 Lisa's MX-5 is a 2006 2.0 Sport model finished in Brilliant Black. The car was bought in November 2013 and Lisa immediately set about modifying it. First up were a set of BC Racing adjustable coilovers to improve the handling and get the car sitting lower. 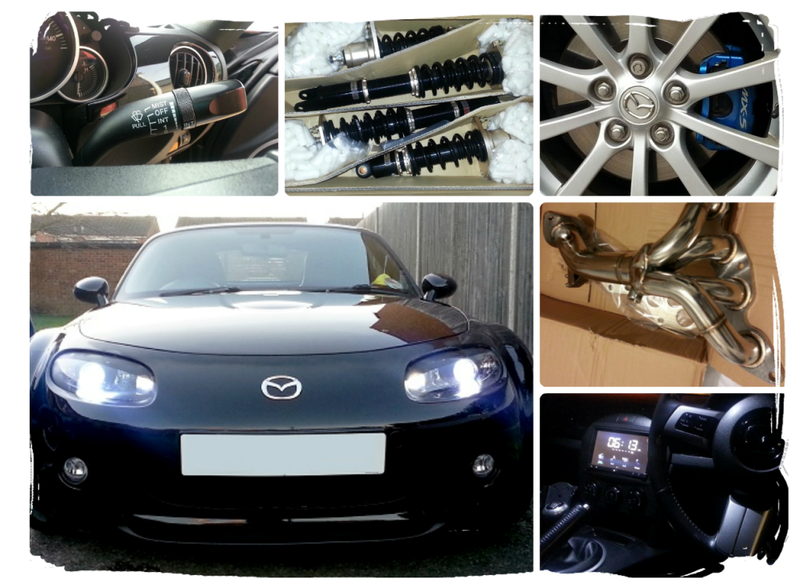 These were combined with uprated anti-roll bar droplinks and a fresh set of Continental Sport Contact 3 tyres. Muteki wheel nuts from Lisa's Civic Type-R were also fitted. Next up were some visual changes. 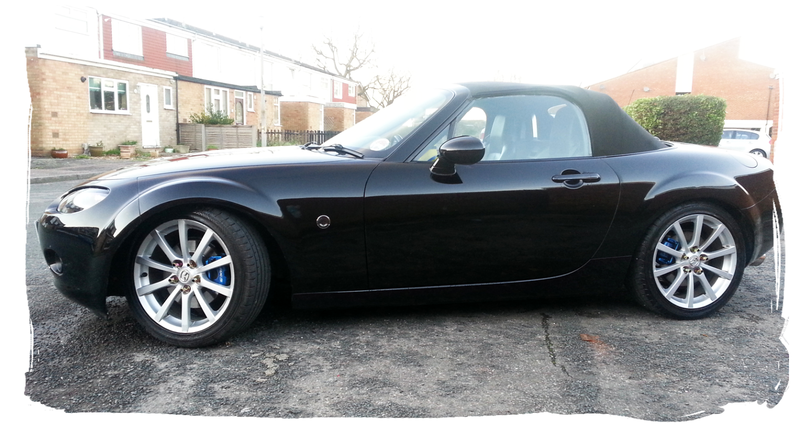 The front and rear brake calipers were painted with VHT anodised blue and custom silver MX-5 decals were added. The orange side repeater was changed for a darker smoked lens version and the headlights were modified to remove the orange plastic indicator lens. These changes give the car a more aggressive looking front end and custom vinyl headlight trims add a finishing touch. 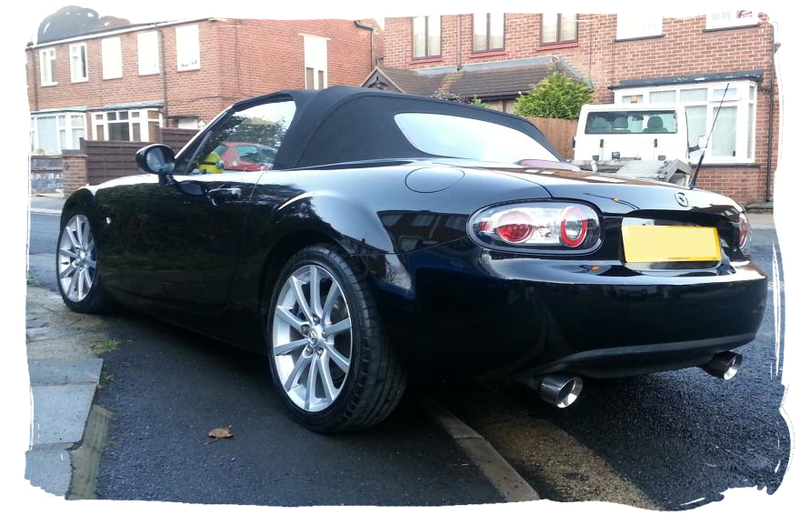 The rear of the car has been de-badged for a smooth look and a Cobra race muffler with 4" slash cut tips gives this MX-5 a deeper exhaust note, you can have a listen in this video. Inside there is a Pioneer AppRadio 2 which enables realtime display of the car's OBD2 data. An RX-8 wiper stalk upgrade allows greater control over the wiper speed. Lisa's future plans for the car include fitting a performance exhaust manifold, high-flow cat, cold air intake, remap, exterior graphics, rear diffuser, Volk CE28N wheels, vented bonnet, sideskirts, and an Odula front bumper. Update: the car is now white!